The B-SA4 is packed with a multitude of features for the user, including: high speed printing leading to increased efficiency and productivity time-saving and minimal training due to fast and easy handling lower servicing and maintenance cost with user toolless replacement of the print head and platen versatile design to suit any environment or application perfect readability of labels and barcodes due to flexible high quality print technology Bartender UltraLite labelling software. The TOSHIBA Tec B-SA4 barcode label printer provides the functionality and robustness of an industrial printer with the compact footprint and ease of use of a desktop printer.For ultimate networking capabilities, it comes with a wide variety of communication interfaces, enabling you to manage your whole network of printers from a central source. 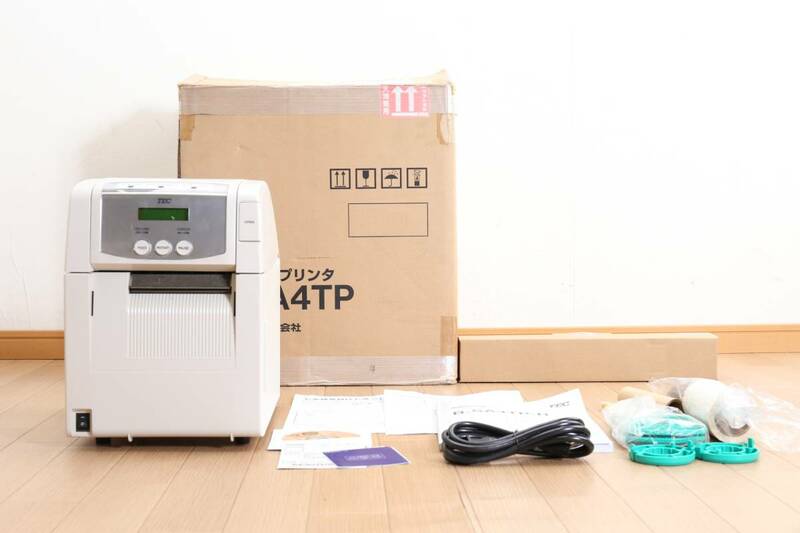 The B-SA4TP brings the performance of an industrial printer into your office. The B-SA4TP offers the efficiency and reliability of an industrial printer in the compact body of a desktop printer. Its ergonomic design makes the B-SA4TP the printer of choice for any quiet office situation with no compromise on performance, image quality, and reliability. As business life often requires reactivity, the B-SA4TP has been designed to provide maximum flexibility and ease of use to adapt to changing requirements. * Print speed: 50.8mm / sec, 101.6mm / sec, 152.4mm / sec.